TEMPUR® was first created by NASA in the 1970’s to cushion astronauts during lift-off as they journeyed into space. TEMPUR® sleep scientists realised the potential of this unique material and were the very first to introduce this revolutionary material to the world. Since then, we have been making mattresses and pillows with the aim of transforming the sleep of our owners across the globe. We invest millions each year to constantly improve our formulas and innovate new products. In fact, only a handful of highly trained scientists know our secret formula! Our unique TEMPUR® Material is composed of a secret formula, first developed by NASA scientists to support astronauts during lift-off. WHY IS TEMPUR® MATERIAL BETTER THAN MEMORY FOAM? When it comes to making mattresses and pillows, TEMPUR® is in a league of its own. For decades, competitors have attempted to replicate the unique TEMPUR® feeling. We have always manufactured our own products, while others frequently outsource their production which means they can struggle to monitor quality. 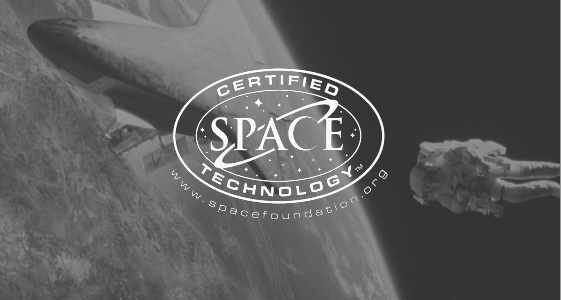 We are the only mattress company in the world to be certified by the International Space Foundation! *Based on interviews conducted with over 37,000 mattress owners in 13 countries from 2014-15, where owners in each market rated TEMPUR® highest in satisfaction versus owners of other mattress brands. enables our mattresses to absorb extra pressure. Effectively, TEMPUR® material redistributes your weight providing relief in painful areas of your body, ultimately allowing you to get a comfortable night’s sleep. We believe other types of memory foam and spring mattresses absorb less pressure which can cause an uncomfortable and restless night’s sleep..
ARE MEMORY FOAM MATTRESSES GOOD FOR BACK, NECK AND HIP PAIN? It is our opinion that standard memory foam mattresses are not very effective when it comes to relieving pain and pressure. They have some pressure relieving capabilities but TEMPUR® material has been widely adopted in medical institutions across the world due to its proven pressure relieving properties. 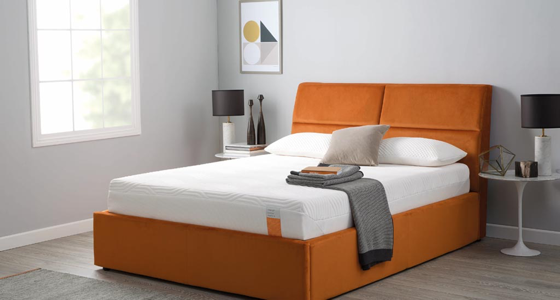 Based on our years of experience, TEMPUR® material has been found to alleviate tension in painful areas of the body whilst sleeping, allowing you to rest in complete comfort. ARE MEMORY FOAM MATTRESSES HOT TO SLEEP ON? It has long been rumoured that standard memory foam can often cause a hot night’s sleep. This is because normal memory foam can have a dense cell structure which traps heat. However, TEMPUR® material has an open cell structure which allows the breathing of the material and heat to escape efficiently. CAN YOU CLEAN A MEMORY FOAM MATTRESS? For spring and standard memory foam mattresses it can be very hard to clean them because often they come without covers which can be changed. However, every current TEMPUR® mattress is equipped with a removable washable cover which allows you to easily clean and refresh your bed! ARE MEMORY FOAM MATTRESSES TOO HARD? Ordinary memory foam mattresses can often feel very firm to sleep on. This can cause discomfort and ultimately prevent you from getting a great night’s sleep. TEMPUR® material has been engineered to react to your body temperature. It is optimised to work best at room temperature (23°C). By actively conforming and adapting to your body shape you are constantly supported throughout the night. Furthermore, our wide range of mattresses means that you can choose a comfort level which is unique to you. View our full mattress range here. Ordinary memory foam mattresses break down over time. This means their layers will start to crack and break open, ruining any support they provide. TEMPUR® mattresses offer a 10-year guarantee of lasting quality because we understand that a mattress is a long term investment for your health and well-being. At TEMPUR®, our mattresses face an intense testing process. We offer a free 10 year manufacturers guarantee, because we believe a great quality bed should deliver great sleep night after night, year after year.